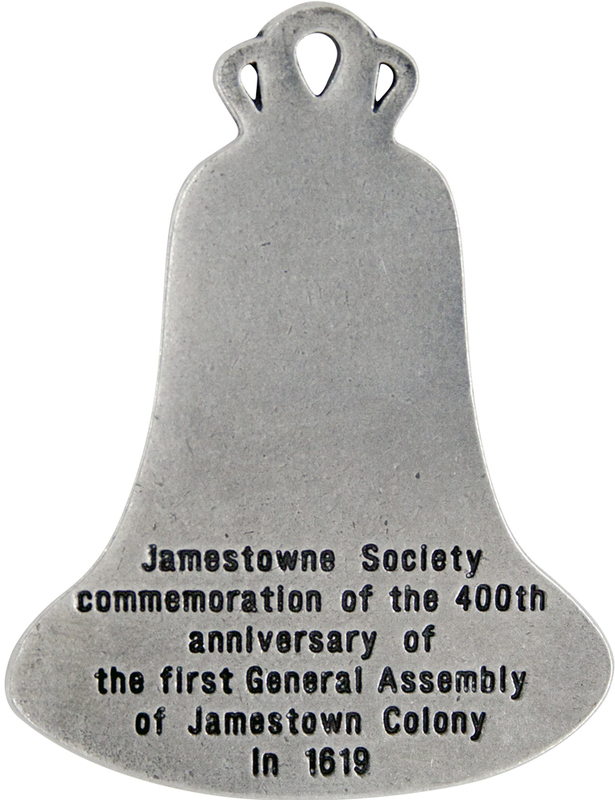 The Jamestown Society commissioned us to create their commemoration pewter ornament for the 400th anniversary of the First General Assembly. Their request was to capture the beauty of the first bell in the House of Burgesses. 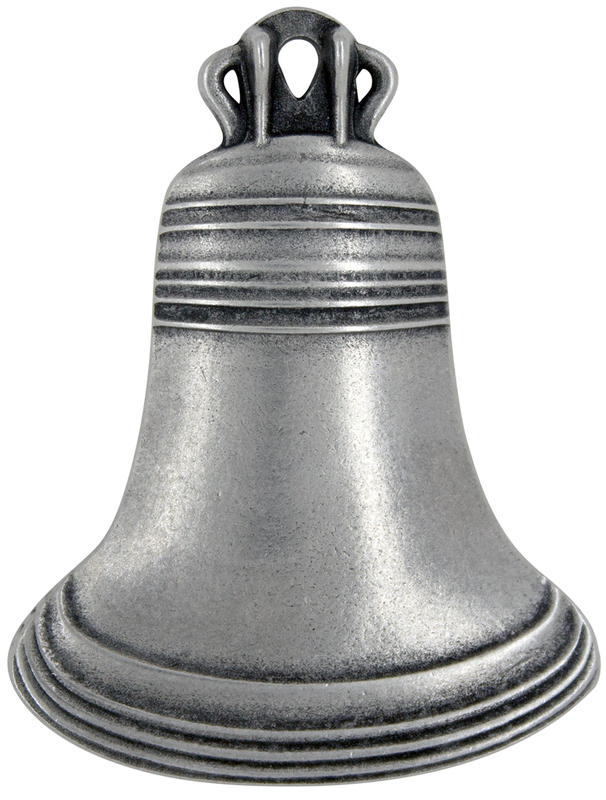 This custom ornament piece was created with the fine details of the bell, look for instance at the number rings and the top of the bell at the hanger. Jamestown Society requested that we include the meaning of their piece on the back of the bell ornament. Note the amount of text and how well it is capture on their House of Bergesses bell. We have done hundreds of custom medallions, keyrings, charms, coins, Christmas ornaments, add other designs. Call us now to get yours started 866-282-7384. We start with your design, employ our very creative design team, and work with you to capture all the detail you would like. We can start with pictures, files, or even a sketch on a napkin (really!) to capture your desired custom piece. Get start by calling 866-282-7384.